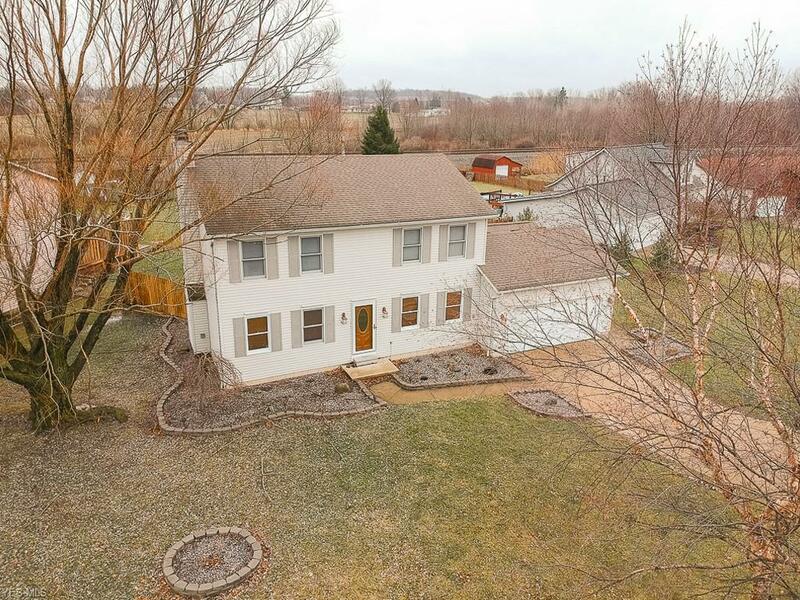 Exceptional/Spacious/Remodeled/Dramatic Center Hall Colonial w/4 Generous Size Bdrms (Possible 5th in Finished basement) & 3 Baths (1st flr bath has a gorgeous modern remodel). Additional features: Enter to new gleaming contemporary laminate wood flring throughout much of the home, Oversized light filled great room w/romantic Fireplace, Updated kitchen w/ample counter/cabinet space that any cook will enjoy/perfect for entertaining w/Formal Dining Room, First Floor Laundry and Half Bath. Fresh Coat of Paint w/ modern colors. Upstairs You'll Find The Master Suite w/Private Bath & large Walk in Closet, 3 Adjacent Bdrms & additional Full Bath. The Upstairs Has All New Gorgeous Wood Laminate flooring Throughout. Finished Lower Level Recreation Room/Media Room for Added Entertainment Space Along with Plenty of Storage approx 500 additional sq feet of living space. Easy Access to the Outdoors From Kitchen Will Lead You to the Brand New Deck w/ lighted pergola & Brick Patio...Summer fun in your private pool w/new liner & pool vacuum/large tanning deck in private back yard w/no rear neighbors. Attractive curb appeal w/a stately/classic front & attached Two Car Garage w/New Door Opener . New Roof in 2011, AC in 2017, Hot Water Tank 2013, Flooring Through Out, August of 2017 Freshly Painted and Move in Ready. Minutes to Grey Hawk Golf Community, St. Rt. 301 and St. Rt. 303.